Today is a sad, sad day. We learned this morning that Charles Krauthammer has only weeks to live and that his cancer has returned. Krauthammer stated in a heartbreaking letter, that can be red below, that he had thought that silence would soon be coming to an end, but I’m afraid I must tell you now that fate has decided on a different course for me. Krauthammer said, “This is the final verdict. 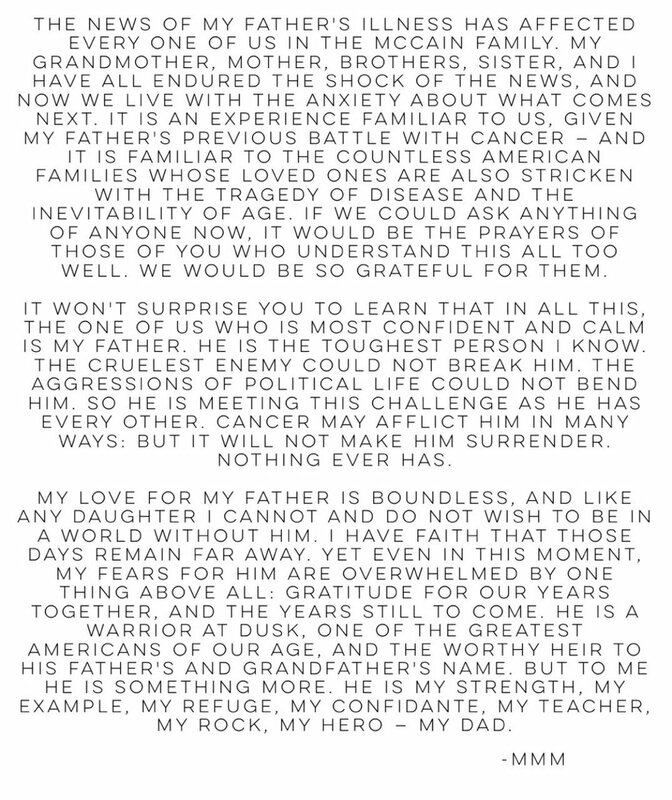 My fight is over.” As I read through the letter, tears hit my keyboard as Charles was truly a remarkable man. 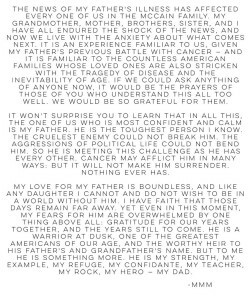 It breaks my heart that such an amazing man, who has battled cancer and so many other obstacles in his life, will be leaving us. Charles Krauthammer was always the smartest man in the room and his honest debate was educational whether you agreed with him or not. In what might be one of the most graceful things Charles has ever penned as he has lost his battle with cancer, “I leave this life with no regrets. It was a wonderful life full and complete with the great loves and great endeavors that make it worth living. I am sad to leave, but I leave with the knowledge that I lived the life that I intended.” You will be so missed. June 8, 2018 I have been uncharacteristically silent these past ten months. I had thought that silence would soon be coming to an end, but I’m afraid I must tell you now that fate has decided on a different course for me. In August of last year, I underwent surgery to remove a cancerous tumor in my abdomen. That operation was thought to have been a success, but it caused a cascade of secondary complications which I have been fighting in hospital ever since. It was a long and hard fight with many setbacks, but I was steadily, if slowly, overcoming each obstacle along the way and gradually making my way back to health. I wish to thank my doctors and caregivers, whose efforts have been magnificent. My dear friends, who have given me a lifetime of memories and whose support has sustained me through these difficult months. And all of my partners at The Washington Post, Fox News, and Crown Publishing. Lastly, I thank my colleagues, my readers, and my viewers, who have made my career possible and given consequence to my life’s work. I believe that the pursuit of truth and right ideas through honest debate and rigorous argument is a noble undertaking. I am grateful to have played a small role in the conversations that have helped guide this extraordinary nation’s destiny. I leave this life with no regrets. It was a wonderful life full and complete with the great loves and great endeavors that make it worth living. I am sad to leave, but I leave with the knowledge that I lived the life that I intended. 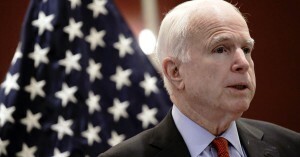 The Hill is reporting that Sen. John McCain (R-AZ) has been diagnosed with brain cancer. The primary brain tumor known as a glioblastoma was discovered after the senior Arizona senator underwent a minor procedure last week to remove a blood clot from above his left eye. We wish Sen. McCain all the best and our prayers are with him. Although, this is a terrible diagnosis as this type of cancer is very aggressive, I can say from personal experience, the time frame given for surviving can be beat. My sister was diagnosed with the same type of cancer many years ago. She went through surgery, radiation and chemo. Although she was much younger than McCain when diagnosed, much has changed between then and now and the medical advancements. Sadly, my sister has since passed, but not before she lived 20 years past her initial diagnosis and I was able to fulfill my promise to her that she would see her sons graduate high school. We did one better, she was able to see them graduate college and get married. John McCain is a fighter. We will him all the best. McCain’s latest diagnosis is not his first battle with cancer. He underwent a procedure in 2000 to remove a type of skin cancer called melanoma from the left side of his face. Fellow senators express their words of praise, encouragement and prayers for John McCain. Sen. Lindsey Graham (R-S.C.), a close friend of McCain and one of his most ardent allies on Capitol Hill, spoke with the Arizona senator on Wednesday. He said they talked only briefly about McCain’s diagnosis before shifting to a conversation about the Senate’s healthcare reform efforts and the National Defense Authorization, the federal defense spending bill. “Literally, it went five minutes until we turned away from what I think most people have a hard time absorbing and focused on what he loves the best,” Graham told reporters after speaking with McCain. The news of McCain’s diagnosis prompted an immediate outpouring of support from fellow lawmakers. GO PINK … OCTOBER IS BREAST CANCER AWARENESS MONTH … GIVE YOUR THREE WORDS!!! Over 220,000 American women and 2,000 men are diagnosed with breast cancer annually. Jackie Collins, the best selling British book author who had sold more that 500 million copies has passed away at age 77. Collins died of breast cancer on Saturday in Los Angeles, California. She is survived by her daughters Tracy, Tiffany and Rory and her older sister, Dynasty actress Joan Collins. Jackie Collins was diagnosed with stage-four breast cancer in 2009; however, she kept it private and only confided with immediate family. People did an interview with Collins on September 14, which would be her final one. Jackie Collins stated in the interview, she had no regrets about the decision to keep her cancer journey private and as Frank Sinatra would say, “I did it my way”. Collins, who sat down with PEOPLE on Sept. 14 at her Beverly Hills home for what would be her last interview, had no regrets about the decision to keep her cancer journey private while she embraced a very full life until her very last days. “Looking back, I’m not sorry about anything I did,” she said during the far-ranging interview that saw her spirited, warm and utterly at peace. “I did it my way, as Frank Sinatra would say. I’ve written five books since the diagnosis, I’ve lived my life, I’ve travelled all over the world, I have not turned down book tours and no one has ever known until now when I feel as though I should come out with it,” said Collins, whose treatments over the years included a lumpectomy, radiation and various drug courses and combinations. Jackie Collins, the best-selling British author who took readers into the glamorous and often steamy world of Hollywood, died of breast cancer on Saturday in Los Angeles. She was 77. “It is with tremendous sadness that we announce the death of our beautiful, dynamic and one of a kind mother, Jackie Collins, who died of breast cancer today,” her family said in a statement posted to Collins’ Facebook page. People first reported the news of her death. 42 year old Marcy Borders, probably better known from her iconic picture as the “Dust Lady” following the collapse of the Twin Towers in NYC on September 11, 2001, has died of cancer. According to The Jersey Journal, Borders was told in August last year that she had stomach cancer and underwent chemotherapy. She had always linked the cancer to 911, when she inhaled and was covered with all types of hazardous debris. One will never know, but sadly after a long, hard and trying struggle following the 911 terror attacks, Marcy Borders has passed. Our prayers go out to her family and friends. Rest in peace Marcy Borders. A woman who became known as the “Dust Lady” after being captured on camera in the aftermath of the 9/11 attack on New York City has died after a battle with cancer, her brother confirmed to NBC News. 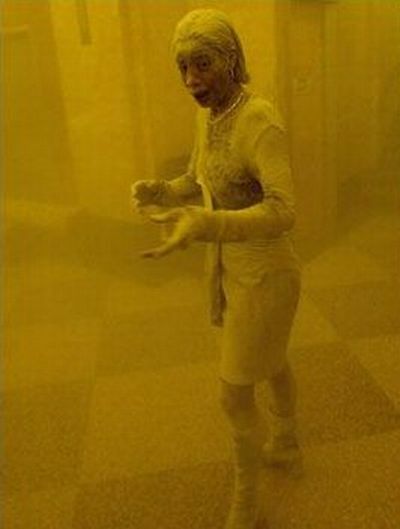 Marcy Borders, a 42-year-old from Bayonne, New Jersey, was pictured covered in dust after the World Trade Center was hit by two passenger jets. She was inside one of the Twin Towers at the time of the attack but managed to escape the building onto the street below. She died in the hospital on Monday night at around 11:10 p.m. ET, according to her brother Michael Borders. 9/11 ‘Dust Lady’ Marcy Borders dies after battle with stomach cancer. The famous photo shows Marcy Borders, a Bank of America employee at the time, distraught and covered in dust in the aftermath of the attacks in Lower Manhattan. The Bayonne native fell into a decade-long depression that led her to abuse alcohol and drugs after her traumatic experience on 9/11. In 2011, Borders checked into rehab, and has stayed clean since, she told The Jersey Journal last year. Borders, a mother of two, was just getting back into the working world — helping with a candidate’s local campaign for mayor — when her doctor told her in August 2014 that she had stomach cancer. Borders, 41 at the time, told The Jersey Journal in November that she had undergone chemotherapy and that she was scheduled to undergo surgery in December and then radiation and chemotherapy afterward. At the time, she wondered aloud if her cancer was related to 9/11.